Grooms feathers and idles about. 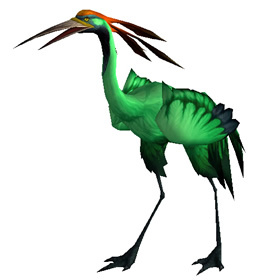 The Jade Crane Chick is a trainable pet in Mists of Pandaria. However, only Pandaren are offered this option from Battle Pet Trainers. Once learned, all characters will have access to this pet. Pandaren may also learn this pet from Marcus Jensen (Alliance) and Matty (Horde). NOTE: Once this pet is learned, it cannot be learned again from the trainer even if the pet is caged and sold. Audrey doesn't sell this pet, and there are conflicting comments, is this a faction or reputation based pet to acquire it? If so where and with whom? I cannot seem to buy this pet anywhere. None of the trainers will offer it to my level 71 panda. Any ideas? one of only two racial pets that i use on the intended race. anyone got any team suggestions for this guy? Great pet for the general grind. 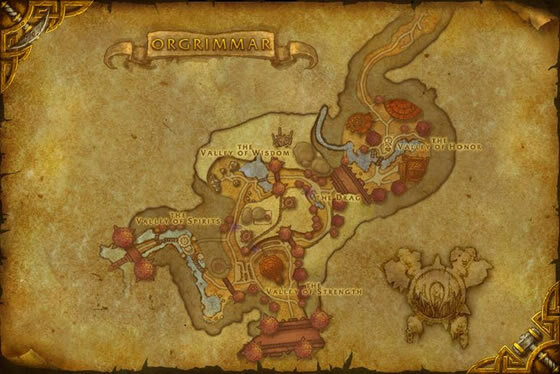 Seems like 90% of the general PvE battles are critter, beast, or aquatic. Good survivability with Jadeskin. It essentially eliminates all the poisons, nut drops, swarm type damage. Throw the pet you're trying to level in front, then replace with this one. Takes reduced damage from beast and has Thrash which owns critters. Flock good against aquatics. Just all around decent when you use a stone to boost it. To answer the following post... it's not the Jade Crane Chick you would have received from becoming best friend with Sho, but the Red Cricket. I don't know if this happend to anyone else but I had this pet mailed to me (level 90 pally) when I became best friends with Sho from the Tillers. I got this cute little guy last year from now...He is going to be my favorite pet from now on if I cant get a Dark Phoenix Hatchling...Im using the BEST Guild tabard you can get! Edit: I just got mine and it was 3/13 breed, B/B. While its sort of the worst breed, its okay for a Flying type whose alternative is just more health. I have been able to learn this pet twice from a trainer. I faction changed a char to alliance and made him a panda along the way - 2 panda / 2 factions / possible reset like some faction based quests; unsure; but was able to learn it twice and I would think it works for other pets with this limitation. Which is really to clarify this in case anyone else wasn't entirely sure what said limitation was. The required bug seems to be fixed (FINALLY) as of October 11th. At least on Hellscream it is. I hope its also fixed for everyone else. I love the fact that this little guy has the same animations as the hawkstriders. Makes him so unbelevably cute! I was unable to train this pet because of the same 'requires' bug. However, ticketing a GM and explaining the situation let me get the companion 'trained' to me. Therefore, if you're being bitten by this bug, opening a ticket is probably your best chance until Blizzard fixes this bug. still bugged :( it's annoying me to hell, i want it! It seems to be slightly bugged currently. I learned Battle Pet Training on my Orc Warlock, which as you all propably know is account-wide learned. So now i cannot pick it up with my pandaran since he has not learned this skill allthough Battle Pet Training says allready known. Sorry you have to make a panda. 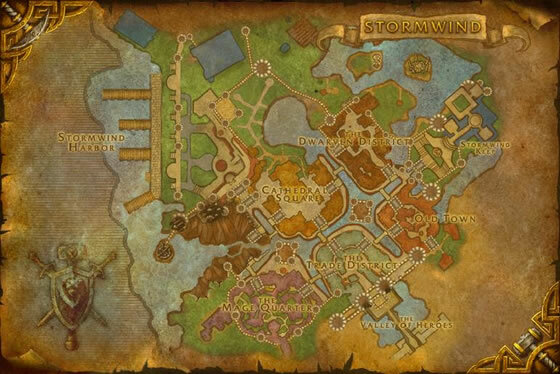 Level it to 12, choose your faction, and then go to Stormwind or Ogrimmar and get it from the battle pet trainer. Since all pets are account bound well you know. Also, this is a pet you "train" so you only get one per panda. I made the mistake of giving it to a friend because I thought I could get another. Luckily my good friend probably won't mind giving it back to me. A graceful creature from the isle of Pandaria.